TheraCal LC is a light-cured, resin-modified calcium silicate filled liner designed for use in direct and indirect pulp capping and as a protective liner under composites, amalgams, cements, and other base materials. 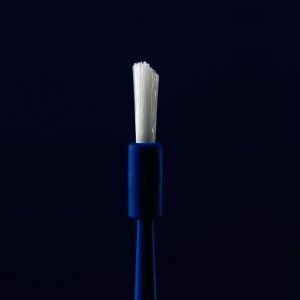 It can be used as an alternative to calcium hydroxide, glass ionomer, RMGI, IRM/ZOE and other restorative materials. TheraCal LC performs as a barrier and protectant of the dental pulpal complex. TheraCal LCs precise placement allows its use in all deep cavity preparations. The light-cured set permits immediate placement and condensation of the restorative material. Its proprietary formulation allows for a command set with a light curing unit while maintaining ease of placement due to thixotropic properties. 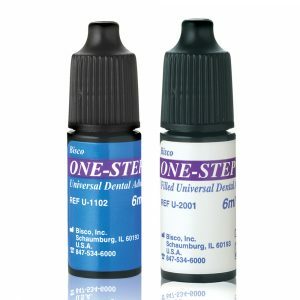 The proprietary hydrophilic resin formulation creates a stable and durable liner. 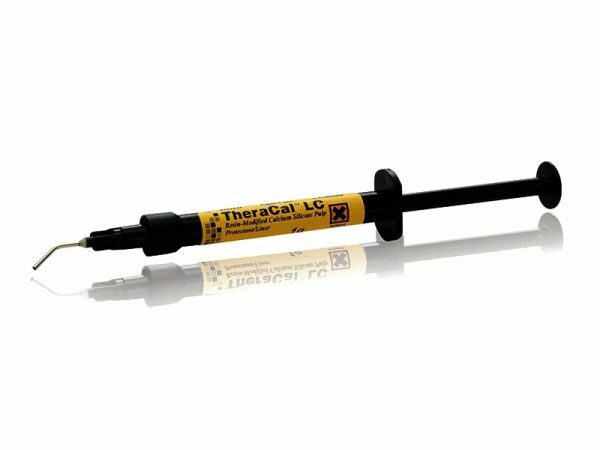 – The proprietary formulation of TheraCal LC consists of tri-calcium silicate particles in a hydrophilic monomer that provides significant calcium release, making it a uniquely stable and durable material as a liner or base. What are the differences and similarities between TheraCal LC and Mineral Trioxide Aggregate (MTA) material? TheraCal LC is a resin-modified calcium tri-silicate that has enhanced physical properties when compared to MTA material. Essentially, the primary chemical used in both materials are similar (Portland cement) but TheraCal LC contains a patent pending hydrophilic resin, which allows for immediate light curing and facilitates calcium release. Similar to MTA material, TheraCal LC promotes healing due to the alkaline pH, and the calcium release assists in the formation of dentin bridge. What is the difference between TheraCal LC and Calcium Hydroxide? Calcium hydroxide is the primary chemical contained in many dentin liners and pulp capping agents. One of the known limitations of calcium hydroxide-based materials is their relatively high solubility, which leads to dissolution of the material over time. Do I need to bond before placing TheraCal LC? Bonding is not required or recommended before placement of TheraCal LC on dentin. TheraCal LC allows the maximum amount of calcium release. 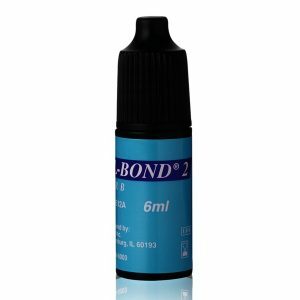 However, in a non-retentive preparation (such as a Class V non-carious cervical lesion), a bonding agent may be used prior to placement of TheraCal LC for an enhanced bond. I am using RMGI for liners and pulp-capping, why should I switch? TheraCal LC promotes hydroxyl-apatite formation through ion/water exchange with the tooth structure. Resin-modified glass ionomers are unable to promote hydroxyl-apatite formation and have been shown to be cytotoxic to the pulpal complex. Due to the inclusion of polyacrylic acid, RMGIs may actually inhibit apatite formation. What can I use TheraCal LC for? 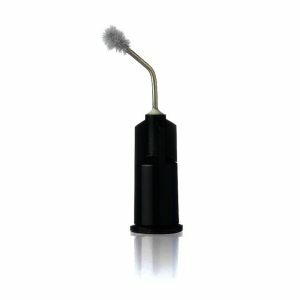 TheraCal LC can be used as a liner under all restorative materials. It can also be used as a direct or indirect pulp-capping agent. Will TheraCal LC wash out over time? No, TheraCal LC is virtually insoluble when compared to other traditional calcium hydroxide-based liners and pulp-capping agents.